I got my start in electronics on my 9th birthday in South Africa, when my dad bought me a double set of the Radionics Kit (I still have it, in mint condition, and my sons are learning on it now). I built many radios growing up, and I remember poking around in my dad’s Grundig Satellit radio in the early 1970’s. I took a special interest in my Science classes at high-school, and was always called upon to make electronics projects for “Science Open Days”. During my University days, I remember working on an enormous IBM computer which filled an entire temperature-controlled hall. That computer had a processing power of 1-MIP (1 million instructions per second). A decade later, that enormous 1-MIP processing power was eclipsed by a desktop PC – the IBM 286!!!! I opened a car-radio shop to finance my other love – flying. Getting a Private Pilot’s licence was not cheap in those days. University students bought cars, and needed radios in their cars – it was a good combination! 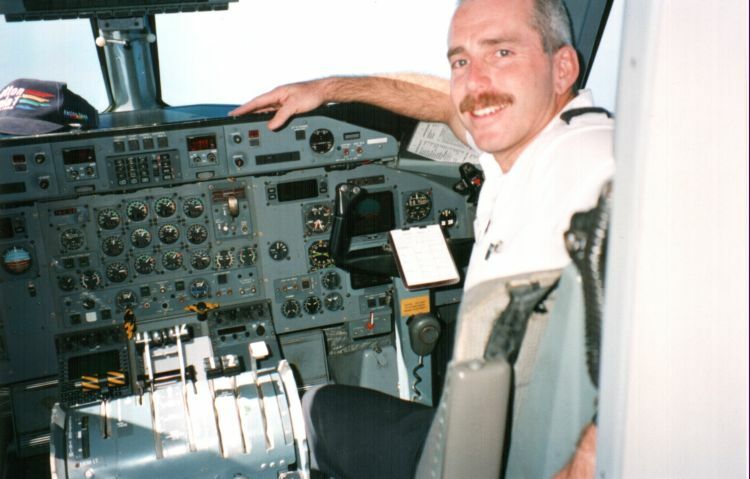 After University, I moved to Canada in 1980, and pursued my flying career. On my days off, I had my radio business to look after, and in the late 1980’s, I started building computers. I was one of the first Novell certified techs in Canada in 1989 – remember Novell Netware 286? In 1995, I moved to Israel, got married and continued flying until 2000. I’ve hung up my wings after 10,000 hours in the cockpit. I’m enjoying being with my kids every day, watching them grow, and being a part of their lives. I was never a big fan of digital technology, finding it very harsh and destructive from an audio viewpoint. I continued my passion of rebuilding tube and early “Real Hi-Fi” equipment, and discovered via the internet, that there were many more enthusiasts that do not believe in the “newer is better” doctrine of today’s throw-away world. My custom-built computers are far more reliable than the run-of-the-mill computers which you buy off the web – I use only the highest quality parts, and install extra high-quality fans to keep the system really cool. Decades of electronics experience proves that electronics’ deadliest enemy is heat, and my computers will last an average of 7-10 years before failure, as opposed to 2-3 years for a store-bought unit. 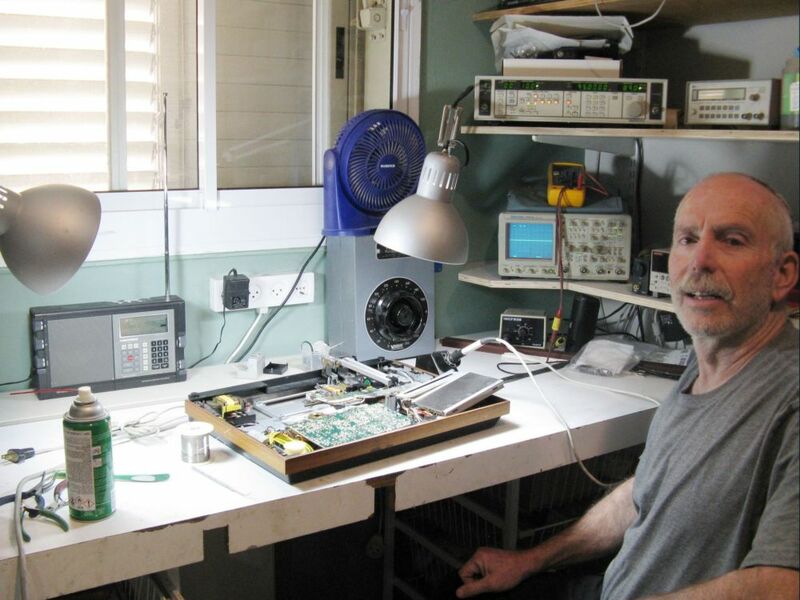 Today, over 40 years of solid, hands-on experience is built into every piece of electronic equipment which leaves my workshop, after being refurbished. Whether you’ve got a one-of-a-kind 1940’s tube radio, or a 1970’s 50kg silver-faced Pioneer, or a rare Bang and Olufsen Tangential or Thorens or Dual turntable, or an old Tektronix CRT oscilloscope with a blurred trace, or a 10-year old APC UPS which no longer works and you don’t want to replace it with one of these new Chinese “things”, or you even want a custom Subwoofer built for your vintage stereo setup, or ……. A Sterling man. You’ve come to the right place!